Have you ever tried pepe pasta? It’s sometimes labeled as acini di pepe, and can be found with the rest of the pasta options in most grocery stores. If your favorite pasta brand doesn’t sell pepe, just be sure to browse the other brands, and you should be able to find it. 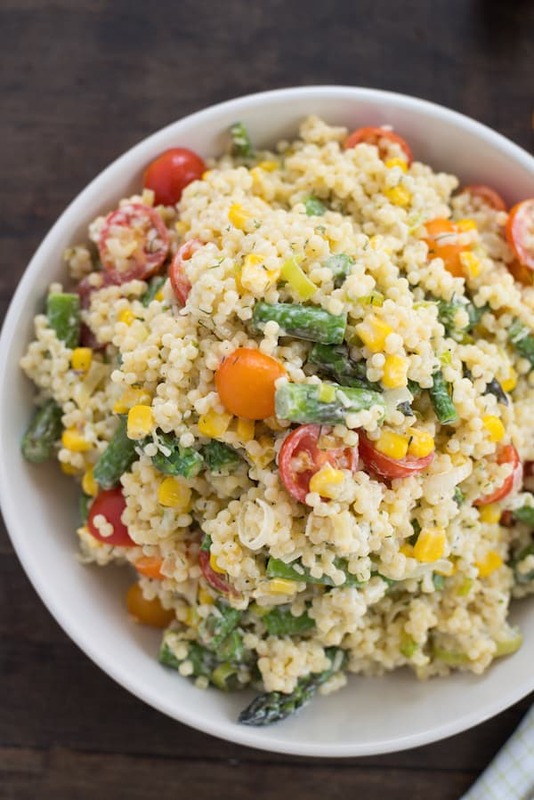 It’s very similar to Israeli couscous, and you can use the two interchangeably, if you wish. It’s such a fun little shape to cook with and eat. 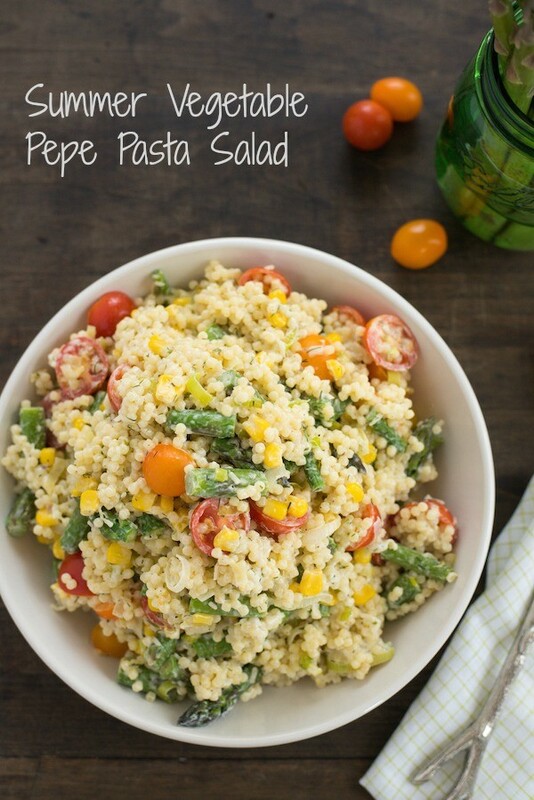 And with summer being a four-month pasta salad bender in my house, pepe is a little change of pace from the more traditional shapes like elbows, penne and rotini. I like to include as many vegetables as possible in my pasta salads, and this one is no exception. While the pasta was boiling, I sautéed a fresh leek and some chopped asparagus. 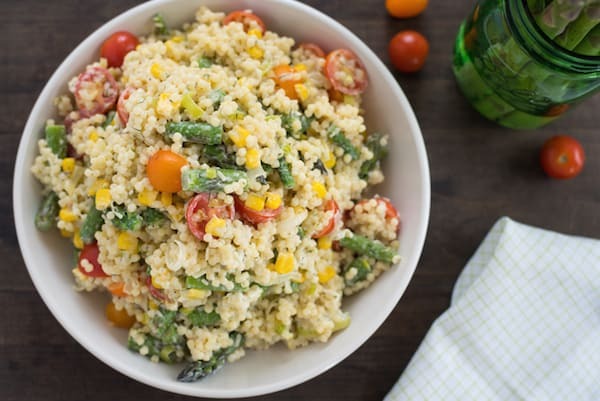 Cherry tomatoes and fresh corn kernels add even more vegetable goodness. Everything is tossed in a light and tangy dressing made with Greek yogurt, Parmesan cheese and dill. Dairy products like yogurt and milk provide high quality protein, amino acids and calcium, giving this salad another boost of nutrition. In that case, I’ll have another scoop of this Summer Vegetable Pepe Pasta Salad, please! In large pot of boiling salted water, cook pasta according to package instructions, then drain. Meanwhile, in large skillet, heat butter over medium-high heat. Add leek and cook 1 minute, stirring frequently. Add asparagus and cook 5 to 7 minutes or until tender-crisp, stirring occasionally. In large bowl, stir together yogurt, cheese, dill, salt and pepper. Add corn, tomatoes, pasta and asparagus mixture; toss until well combined. Refrigerate at least 2 hours or up to 2 days before serving. 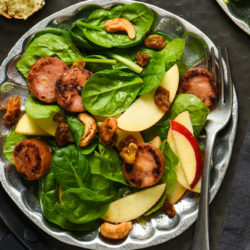 Lori – This looks so yummy and healthy. 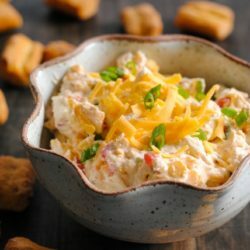 I love how you used greek yogurt in this dip. Anything with dill in it makes me a happy girl! This looks fantastic! I’ve never had pepe pasta, but heck, I’d try any kind of pasta or starch if it’s covered with that creamy dill dressing! I love those baby pasta varieties, they really let the veggies and cream shine through. I agree, Heidi. In fact, as I was looking for pepe, I saw the little star pasta variety, and almost grabbed that too! Sounds delicious! I would have to use Israeli couscous because this kind of pasta has not been seen in Albertsons in El Paso (I will check again, though). Question: is the couscous an equal substitution? The only pasta brand at my store that carries pepe is De Cecco, so if you can find that brand, you may want to look there. Otherwise, Israeli couscous works just the same, and you can use it in the same amount. Have a great weekend, Susan! Thanks, Lori. We do have De Cecco brand, AND, we’re headed for the east coast at the end of next week, where they have better grocery stores, so I’ll check there, too. Hope you have a great weekend, too. This looks so fresh and delicious! A must-have for summer BBQs this season! Thanks for stopping by, Alida! I know! It took me a few minutes to locate the pepe, and while I was, I was seriously in awe of all the different shapes. Like, they sell STARS. The kind you’d see in chicken and stars soup, but you can make it yourself! They also sell HALF SIZE spaghetti. I think it’s called “pot size” or something. For people who are too lazy to break normal spaghetti in half, I guess? I’m all about the pasta salads during the summer and I haven’t tried pepe pasta yet. I’m going to have to seek this out because I do love the small type pastas. Look for De Cecco brand. I’m sure other brands carry it, but I know that one consistently does. I made this recipe as a side to bring to my daughters. I should have tasted it. The yogurt and dill did not taste good at all and I love dill, the dill was over powering. . I followed the recipe exactly. We had to throw it out. Disappointing. Hi Jeanne – Sorry to hear this didn’t turn out for you. Did you use Greek yogurt, and fresh dill? 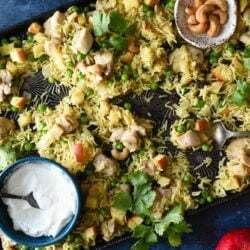 A few other readers have made this recipe recently and told me they loved it, but everybody has different tastes, of course. Lori, it only took me more than two years to finally make this pasta salad, and I am really glad I did. It is delicious! I did find the flavor of the fresh dill somewhat overpowering – in my old age I do not handle strong flavors well. Next time I would probably use half the dill, or use dried, also in a smaller amount. There will definitely be a next time. Thanks for a great recipe.